Professor Sir Colin Blakemore, FMedSci, FRCP, FRS, is Professor of Neuroscience & Philosophy at the School of Advanced Study, University of London and Emeritus Professor of Neuroscience at the University of Oxford. He studied Medical Sciences at Cambridge, completed a PhD at the University of California, Berkeley. He returned to Cambridge for 11years and in 1979 he became Waynflete Professor of Physiology in Oxford, where he also directed the Centre for Cognitive Neuroscience. From 2003-2007 he was Chief Executive of the UK Medical Research Council. His research has been concerned with many aspects of vision, early development of the brain and plasticity of the cerebral cortex. He now leads a network of philosophers and scientists working on human perception, and he directs the Human Mind Project, which aims to define key questions about the nature and function of the mind. Colin Blakemore has been President of the British Neuroscience Association, the Physiological Society, the British Association for the Advancement of Science (now the British Science Association) and the Society of Biology. He is a frequent broadcaster and writer for the UK national media. 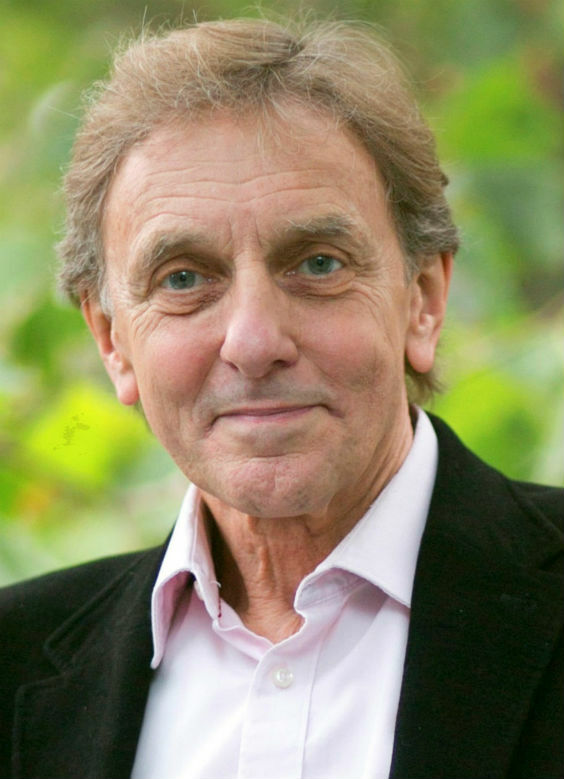 In October 2012 Professor Sir Colin Blakemore took up a newly created Professorship of Neuroscience & Philosophy at the School of Advanced Study, University of London, where he directs a Centre for the Study of the Senses. Professor Blakemore is leading a project funded by the Arts and Humanities Research Council, which involves philosophers and cognitive neuroscientists working together to define key questions about human perception. In Oxford he maintains a research interest in the very early stages of development of the human embryonic brain. Professor Blakemore and his colleagues are studying the way in which neurons are born, distribute themselves and form connections in the embryonic forebrain. NICCOLAI, V., van LEEUWEN, T.M., BLAKEMORE, C. & STOERIG, P. (2012) Synaesthetic perception of colour and visual space in a blind subject: an fMRI case study. Consciousness and Cognition 21: 889-899. BLAKEMORE. C., MACARTHUR CLARK, J., NEVALAINEN, T, OBERDORFER, M & SUSSMAN, A. (2012) Implementing the 3Rs in neuroscience research: a reasoned approach. Neuron 75: 948-950. BLAKEMORE, C. (2010) Cognition, computation and consciousness. In Science Sees Further, Royal Society, London, 14-15. LIANG, M., THILO, K. & BLAKEMORE, C. (2009) Temporal dynamics of visual-tactile crossmodal interaction: an ERP study. NeuroImage 47: 39-41. VAN DELLEN, A., CORDERY, P.M., SPIRES, T.L., BLAKEMORE., C. & HANNAN, A.J. (2008) Wheel running from a juvenile age delays onset of specific motor deficits but does not alter protein aggregate density in a mouse model of Huntington’s disease. BMC Neuroscience 9: 34. BESTMANN, S., RUFF, C.S., BLAKEMORE, C., DRIVER, J & THILO, K.V. (2007) Spatial attention changes excitability of human visual cortex to direct stimulation. Current Biol. 17: 134-9. BYSTRON, I., RAKIC, P., MOLNÁR, Z. & BLAKEMORE, C. (2006) The first neurons of the human cerebral cortex. Nature Neuroscience 9: 880-6. GOYAL, M.S., HANSEN, P. & BLAKEMORE, C. (2006) Tactile perception recruits functionally related visual areas in the late-blind. Neuroreport 17: 1381-4. KEMP, M. & BLAKEMORE, C. (2006) Hearing colours, seeing sounds. Wassily Kandinsky’s synaesthetic paintings go on show in London. Nature 442: 514. STEVEN, M.S., HANSEN, P.C. & BLAKEMORE, C. (2006) Activation of color-selective areas of visual cortex in a blind synesthete. Cortex 42: 304-8. BLAKEMORE, C. (2005) In celebration of cerebration. Lancet 366: 2035-57. STEVEN, M.S. & BLAKEMORE, C. (2004) Visual synaesthesia in the blind. Perception 33: 855-868. THILO, K.V., SANTORO, L., WALSH, V. & BLAKEMORE, C. (2004) The site of saccadic suppression. Nature Neurosci. 7: 13-14. SANTORO, L., HANSEN, P. & BLAKEMORE, C. (2003) Object motion, with or without retinal motion, activates human cortical area MT+. J. Physiol. 548P: O74.